Log in as a member to read the National Wine Policy Bulletin. It has been nearly two weeks since the federal government shutdown and things are back in working order again, at least for the time being. The TTB is once again accepting COLA and formula applications, and Congress can focus on some other issues of concern to the wine industry. The Farm Bill: A congressional conference committee is now in the process of talking over the possible terms of a compromise five year farm bill. Both House and Senate committee members are publicly optimistic about finding common ground, but with food stamps likely the hinge around which everything turns, it’s hard to predict if a compromise bill passable by the full Congress is possible. Reportedly, there’s been some advance work to get easy language differences off the table. The President has made passage of the farm bill one of his top three priorities by year end. Whether this has a positive or negative impact remains to be seen. The re-authorization of the farm bill is essential for the wine industry. Important projects like the Specialty Crop Research Initiative and the National Clean Plant Network. Immigration Reform: Immigration reform is also being pushed to the front burner by members of Congress. Unfortunately it does not seem like the House and the Senate will be able to come to an agreement this year. Earlier in the year, it looked like we could see a bi-partisan immigration reform proposal, but with the debt ceiling crisis, and government shutdown, it has gone on the backburner. The President has indicated that he wants immigration reform before his term is over in 2017. A new version of the Border Security, Economic Opportunity and Immigration Modernization Act was introduced by U.S. Rep. Judy Chu (D-27th District) on October 8th into the House of Representatives. The bill includes the bipartisan bill passed by the Senate as well as a House measure known as the Boarder Results Act which gained support from both parties. The proposal would introduce visa reform and shorten the citizenship path for agricultural workers as well as providing extended protections for both immigrant and U.S. agricultural laborers. Taxes: The government shutdown/debt ceiling fight has led to the creation of a new budget conference committee. Members on both sides of the aisle have made it clear that “everything will be on the table”. Democrats on the committee have expressed an interest in revenues. The danger here is the possibility of creating “user fees” for TTB regulation. Or, even worse, an increase of the Federal Wine Excise Tax. The Federal Government is now open for business. The TTB should be accepting new COLA applications today. If you need to submit a COLA, we suggest waiting a few days as the system could be overloaded today. Wine related issues still remain unaddressed. Farm Bill: If the Farm Bill is not reauthorized or extended this year, it will revert to the 1948 version, ending all funding for wine assistance programs. Immigration Reform: Current law (H2-A) is cumbersome and ineffective. Labor shortages are common place and are causing crop and financial losses. We need bi-partisan cooperation to write legislation that works. We urge you to contact your Members of Congress and Senators to encourage bipartisan cooperation on our issues. WineAmerica will continue to work for wineries here in Washington, DC. One of the new policy initiatives at WineAmerica is Wine Policy Day. Wine Policy Day is a coordinated effort with the State Associations Council to bring Members of Congress and other elected officials to local wineries to educate them on the policy barriers that wineries face. It is designed to help build long term relationships between elected officials and the wineries in their districts and states. Wineries are one of the few growth industries in this country, and our elected officials need to know about their positive economic impact. Unfortunately, due to the on-going conflict in Washington resulting in the closure of the United State government, Wine Policy Day has been cancelled for 2013. The 2013 version of Wine Policy Day was to be a pilot program. Three states had signed up to participate: Arizona, Maryland and Ohio. The various events were to be held during the Congressional Columbus Day recess (October 12-20) when Members of Congress are back in their home districts. Last Friday, October 11, Wines and Vines Magazine posted a feature article on their webpage about our plans for Wine Policy Day. We were very pleased at the coverage the initiative received. The article underscores the importance of education on wine policy issues. Due to the continuing federal government shutdown, Congress will be in session the week of October 14, leading to the postponement of the 2013 version of Wine Policy Day. In the current political environment, our issues are pushed to the side, but are no less important. The wine industry needs a Farm Bill to pass, and we need comprehensive immigration reform. The threat of a federal excise tax increase is real. And, right now, countless wineries are unable to print labels due to TTB’s closure. WineAmerica plans to reschedule Wine Policy Day, but in the meantime, we urge all WineAmerica members to contact your Representatives and let them know about our issues. 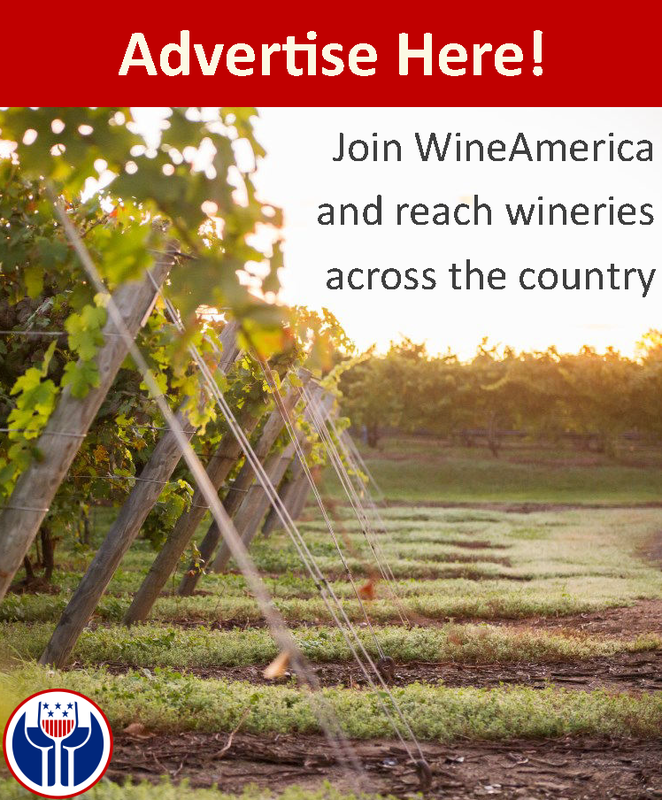 Invite them to your wineries and show them how wineries help the local economy grow. Review WineAmerica’s Policy Day manual and don’t hesitate to contact us for guidance. You have the power to change the legislation that affects you. Make your voice heard.